Secretly inside I've always thought I can pull of a fedora. 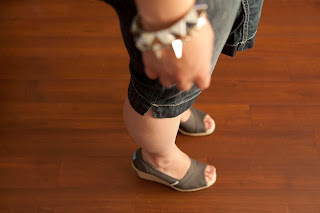 I see other girls sporting it during the spring/summertime and inside I think 'me too! me too!'. Don't know if putting it on suddenly makes you break it down like MJ or JT but it certainly gave my eyes some shade. haha... 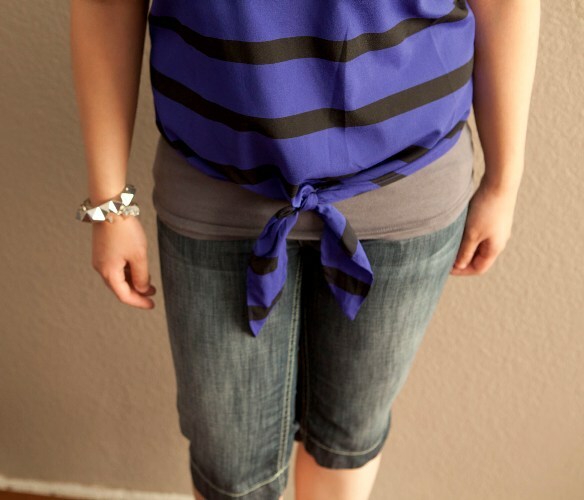 Here I paired it with a sleeveless cobalt blue striped top and dark-washed bermudas. It would also look cute with a long maxi dress or a simple jean jacket. 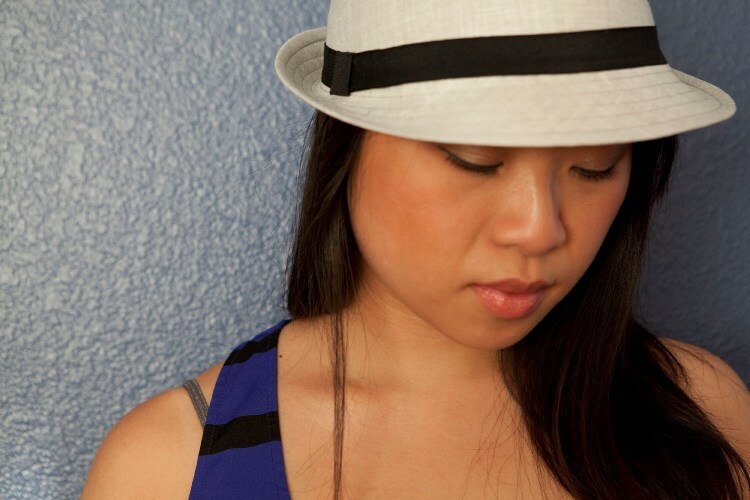 Now I'm ready for the sun to hit and shield my face away..
How do you rock a fedora and what would you pair it with? Great photos and I love the outfit. Love the bermuda with the Toms wedges! Aww thank you! :) The wedges are comfy! love this! 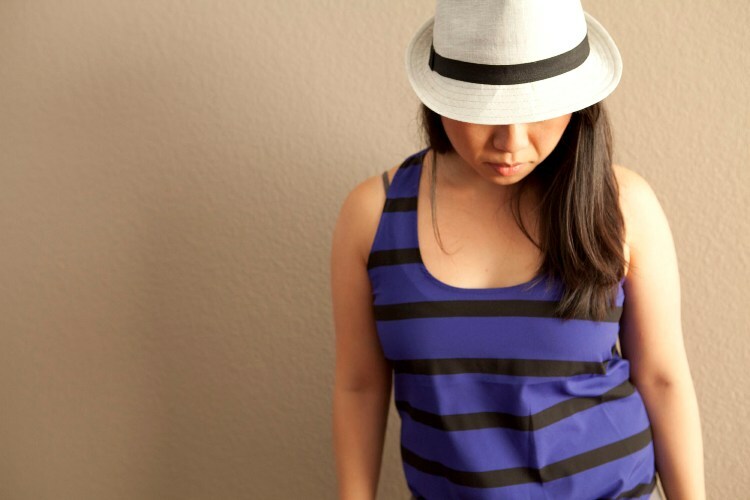 the striped tank is super cute on you!! and i LOVEE the fedora on you.. i'm always so envious of ppl that look so chic in hats.. i always look like a turd in a hat.. that's why i don't wear them hahahahahah. You inspire me! I want to try this look too. =) Super cute and great for summer. 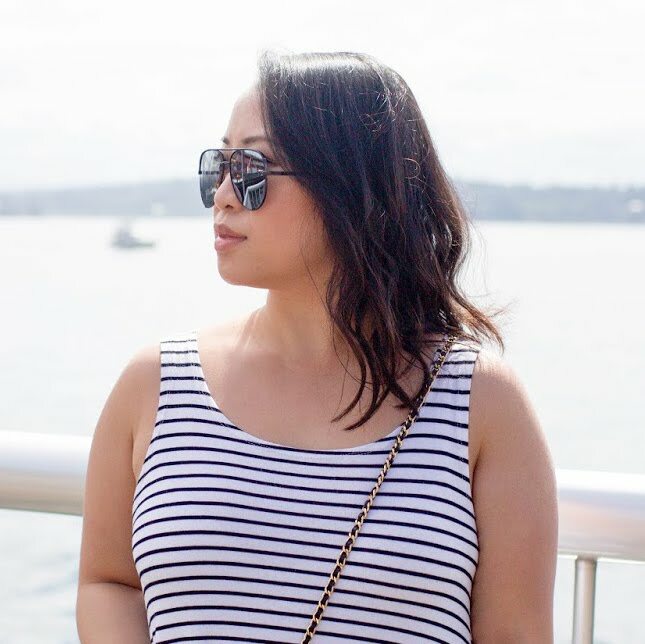 YAY for another Seattle blogger! You have great style lady; I love the fedora and how you tied the tank! ahem! you could totally throw your blazer on and turn this into a night look! thank you for stopping by ldotcdot & leaving a sweet comment!